Is a Newcastle and Port Stephens bricklaying company specialising in domestic, civil and commercial block and bricklaying works. We have significant experience in a wide range of masonry jobs, both large and small. We are committed to the highest quality workmanship and take pride in the work we provide for our loyal customers. Our services and products on offer encompass all levels of construction, from commercial and residential builds through to unit development, retaining walls and repair work. 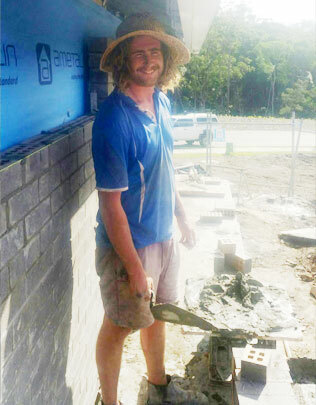 We at East Coast Bricklaying NSW are professional and reliable. Our skills are well honed from years of industry experience and we will work with you and your timeframes to complete the works you require. 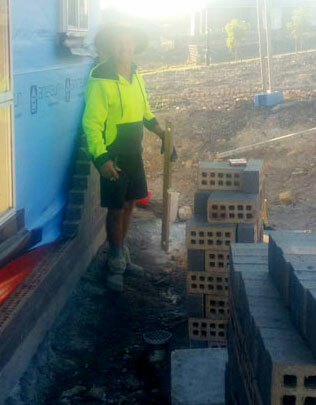 Born and bred in Port Stephens, Brendan at East Coast Bricklaying NSW has over 20-years’ experience in servicing Newcastle, Port Stephens and surrounds with top quality masonry, brick and block laying work. 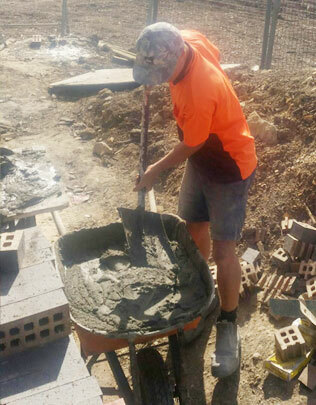 In a reflection of their commitment to provide the highest quality and standard of work, no job is too big or too small for the team at East Coast Bricklaying NSW. Formed in 1999, the jobs have steadily grown in line with the business’ reputation for its reliability, integrity and quality workmanship. Whether it be large commercial or residential building work you need, through to a unit or retaining wall, right down to repair work or a letter box, you can rely on us at East Coast Bricklaying NSW to meet your requirements and exceed your expectations. Commercial Construction – East Coast Bricklaying NSW are well equipped to meet the expectations of commercial development. Along with our brick and block work of the highest standard, we act with integrity, we are transparent and we are reliable. We will work to, and adhere to, the deadlines expected of us. Additionally, we are committed to the safety of all our employees, as well as the safety of others on site with us. For each job, we conduct Risk Assessments and have thoughtfully prepared Safe Work Method Statements (SWMS). New Homes and Renovations – If you’re building a brand new home, you can rely on the team at East Coast Bricklaying NSW to turn your dream ideas into reality and your dream home. We understand how important it is to have a home with your stamp on it, and we will construct it to suit your specifications. We are committed to you being absolutely satisfied with our craftsmanship. If you’re renovating your existing property, we’ll take great care to alter, add to or repair brickwork, at all times ensuring all the brickwork matches up and blends in together for a natural look. The pride we take in the finished product, as well as being entirely transparent and reliable in meeting timeframes, will ensure your renovation project remains on track and you will be as pleased in the final product as we are in providing it for you. Brick and Retaining Walls, Fences & Letterboxes – Whatever it is you desire, we understand that it is the little features around the house that compliment your property. We will work with you closely to understand your specifications and create a design to suit. Our attention to detail and commitment to exceeding expectations will ensure the end-product becomes a feature of your property. I am very pleased to write a testimonial. I asked them to build a wall for me. Firstly I was very impressed by their competitive quote and secondly the quality of their work was excellent! They worked in a very professional and pleasant manner and completed the task on time. I have noticed the work done by other bricklayers on other properties and the quality of the work done on my wall is far superior! Have undertaken several jobs at my business their professionalism and dedication to the job is second to none. Their expertise for me is in their ability to work with old bricks and on old brickwork which is a difficult skill compared with new bricklaying. Work hard and a pleasure to have on the premises tidying up when they are completed and they have worked on repairs to walls and buildings and the refurbishment of two barn conversions. The standard of work has been excellent throughout, will communicate on all aspects of the work done to ensure that the work carried out exactly to the customers requirements. At the end of the working day everything is meticulously put away and cleaned. Would highly recommend to anyone requiring brickwork. Did an exceptional job of moving and then extending the fence down the side of the house. We received a very competitive quote, and the work was completed soon after, in good order. The fencing work is of a very high standard, and we are delighted with the end result. The task was to build a large raised bed to match existing beds. This was done most successfully. Punctual work, quickly completed, site left clean and tidy. Extremely satisfied. We would be more than pleased to complete your next project and look forward to hearing from you. Feel free to contact Brendan on 0409 831 785 or info@eastcoastbricklayingnsw.com.au for an obligation free quote.